Whether you have busy work commitments or a hectic family life, if you’re single and spend most of your time with the same people, you can be left wondering how on earth you’ll ever meet The One. The movies suggest we’ll bump into Mr or Mrs Right in a really romantic way and although this won’t happen for everyone, it’s surprising to think just how many opportunities you actually have to meet someone special on a day to day basis. From saying hello to the person you see at the bus stop every day to chatting to the good looking bartender in your favourite club, you probably meet far more people than you might think. In fact, the only way you’re not going to meet someone is if you sit at home on your sofa watching soaps all the time. And even then, you could always chat away to likeminded people on social media while watching telly in your PJs. Keen to find love? It’s time to get out there, open your eyes to all the people that surround you, and open yourself up to love. 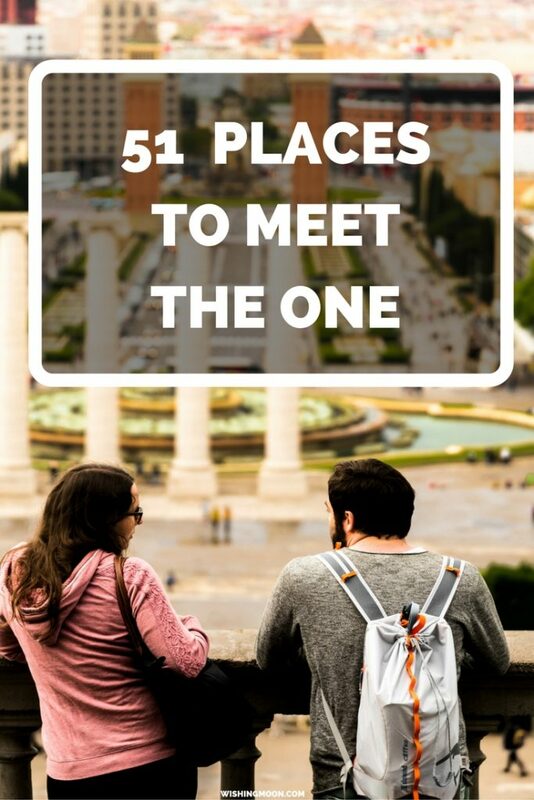 Here are 51 places you might meet The One.